Constituents: glycosides (including aucubin), saponins, tannins, resin, volatile oil. Eyebright's main use in herbal medicine is, as Culpepper suggests, " for all infirmities of the eyes that cause dimness of sights". Eyebright's centuries of use as a remedy for conjunctivitis and bloodshot eyes is insufficient to convince some modern herbalists of it's effectiveness, because the scientific evidence for it's use is thin. Although there is no specific evidence that eyebright as a whole is particularly useful for eye conditions, there is considerable evidence that compounds in the herb are anti-inflammatory and antibacterial. Preparation Methods & Dosage :Eyebright infusions can be taken as a tea, or used as an eyewash or compress. 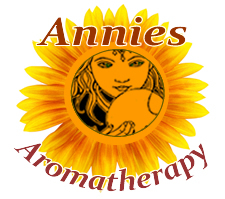 Also available in tinctures and capsules. Eyebright is often combined with other herbs and nutrients useful in maintaining ocular health, including bilberry, rutin, and hesperidin. Eyebright is often combined with nettle for use in allergies. Eyebright Side Effects: Make sure that an eye bath is sterile, and beware of prepared infusions that may not be sterile. The Eyebright is one of a genus containing twenty species distributed over Europe, Northern and Western Asia and North America, some species thriving in the northernmost latitudes. An elegant little plant, 2 to 8 inches high, an annual that flowers from June to September, with deeply cut leaves and numerous, small, white or purplish flowers. The Eyebright will not grow readily in a garden if transplanted, it is a semi-parasite, relying on part of its nourishment on the roots of other plants. 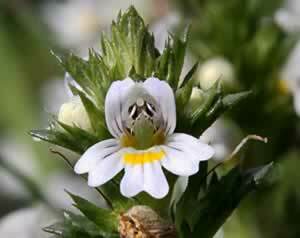 Eyebright - - Euphrasia spp is on the United Plant Savers "At Risk" list. Wildcraft this plant responsibly and consider growing it if you have suitable garden space. Plant prefers full sun and moist grasslands and fallow fields. Eyebright has small, scallop-edged white flowers with yellow spots and a black center, somewhat resembling a bloodshot eye. Historically, eyebright's use for eye problems was due to the Doctrine of Signatures, a sixteenth-century theory that held that a plant's appearance indicated the conditions it could treat.